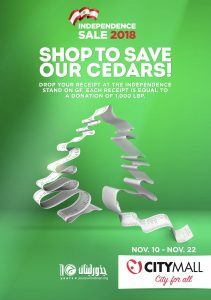 Celebrate Independence by saving our Cedars! 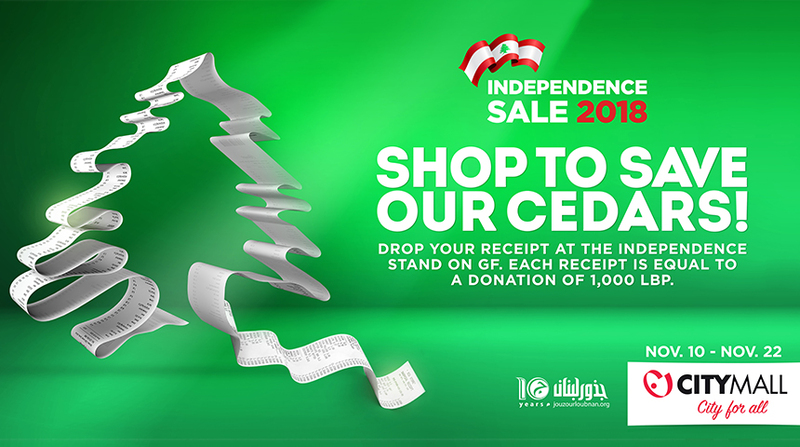 Drop your shopping receipts at Citymall Independence booth on GF. Every receipt will be equal to 1000 lbp of donation.